The Special Edition Vol. 1 Bundle includes the Special Edition Volume 1 (“Essential Orchestra”) and the corresponding Articulation Expansion, Volume 1 PLUS, at a reduced price, when compared to purchasing them separately. Your purchase of the Special Edition Vol. 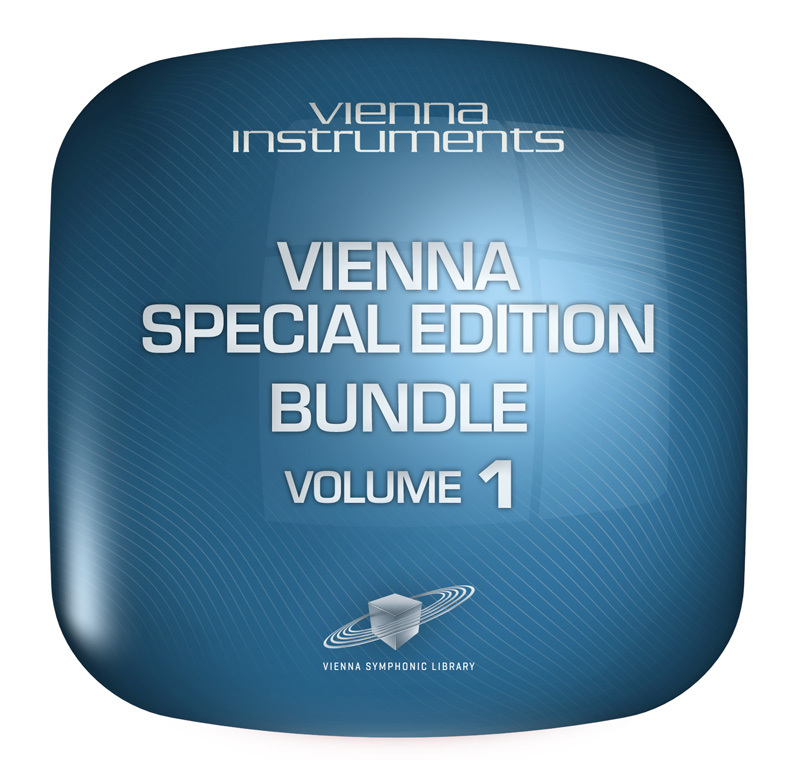 1 Bundle entitles you to download the free Vienna Instruments software player as well as the Vienna Ensemble mixing and host software. Special Edition Volume 1 – Essential Orchestra features the most common orchestral instruments and articulations in a resource-saving, affordable Collection. It contains 28 instruments and ensembles: Solo strings and orchestral strings, solo instruments and ensembles of the brass section, woodwinds ranging from piccolo flute to contra bassoon, harp, drums and percussion as well as celesta and the Bösendorfer Imperial grand piano. As a user of the Special Edition Volume 1 PLUS – Articulation Expansion to Vol. 1 you may quickly and conveniently add articulations you find very useful to improve the variability of your orchestrations. These samples are not included in the Special Edition Volume 1, but have been specifically selected for this collection. For example, while the solo violin’s articulations in the Special Edition Volume 1 include staccato, détaché, sustained, sforzato, tremolo, pizzicato, legato and portamento, the PLUS collection supplements these with the addition of the following articulations: Short détaché, fortepiano, snap-pizzicato, col legno, half and whole tone trills, Repetition Performances (legato & spiccato), fast repetitions (150, 170, 190 bpm), artificial harmonics (staccato & sustain), and ponticello (staccato, sustain, tremolo). Between 20GB and 115 GB depending on the edition, please check www.vsl.co.at for up to date required hard drive space for each Vienna edition.